Nowadays web development is the engine of many industries and businesses. Thanks to the latest solutions from developers new services are launched, the old ones are improved and companies get competitive advantages. As early as now you can see how AI’s chatbots, virtual assistants (like Amazon’s Alexa, Apple’s Siri and Microsoft’s Cortana) and voice bots helped businesses engagement and transformed social interaction. Their evolutions empowered the omnichannel for digital customer experience and guaranteed consistency across voice, chat, messaging and websites. 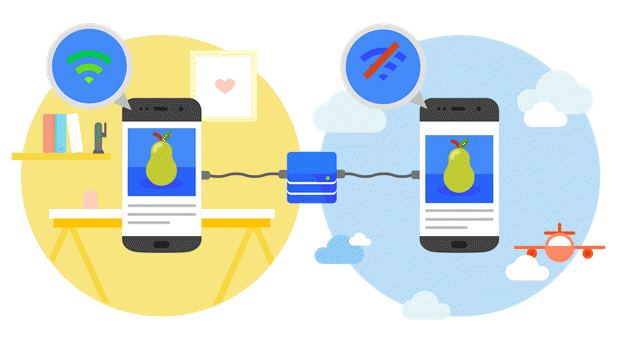 Progressive Web Apps (or PWAs) are still a part of 2019 hottest web trends. These modern web applications load like regular web pages or websites but have a high level of functionality. They can load instantly, regardless of the network state and browser choice because they’re built with progressive enhancement, a strategy for web design that emphasizes core webpage content first. The blockchain is an open and distributed ledger, notorious for its secured design, decentralized consensus, and modified-resistance blocks. It’s designed to lower the financial business cost, reduce the frequency of transaction settlement and improve cash flow backed up by transparent records/data.